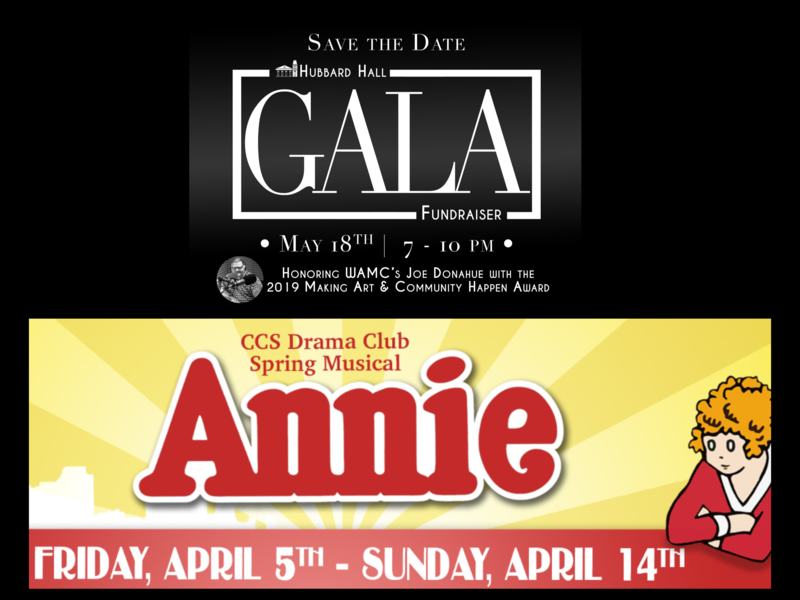 In case you missed it, Bill Belcher, our wonderful Board Chair, and I were featured on the WAMC Roundtable on Thursday to talk about our current production of Annie and our upcoming Spring Gala on May 18. I’m so proud of this contracted partnership with our local school district. If you work in arts education, you know how rare that can be. I’m also proud of all the work we’ve been churning out since January and its eclectic but smart mix – from A Walk in the Woods by Lee Blessing to Doug Wright’s I Am My Own Wife and now Annie? Wow – hard to find a place more able to shift gears seamlessly and serve so many brilliant and different visions of the human experience. #proudofus I miss my colleagues in DC (Joe lumps federal/local in this interview but those of us who have lived there know better) but I’m also so proud of what we’re doing here in the rural arts. If you want to hang out with Joe Donahue, Bill Belcher and me for a fun and warm evening of community celebration, get your tickets now for the Spring Gala on May 18 – hubbardhall.org. Join us!